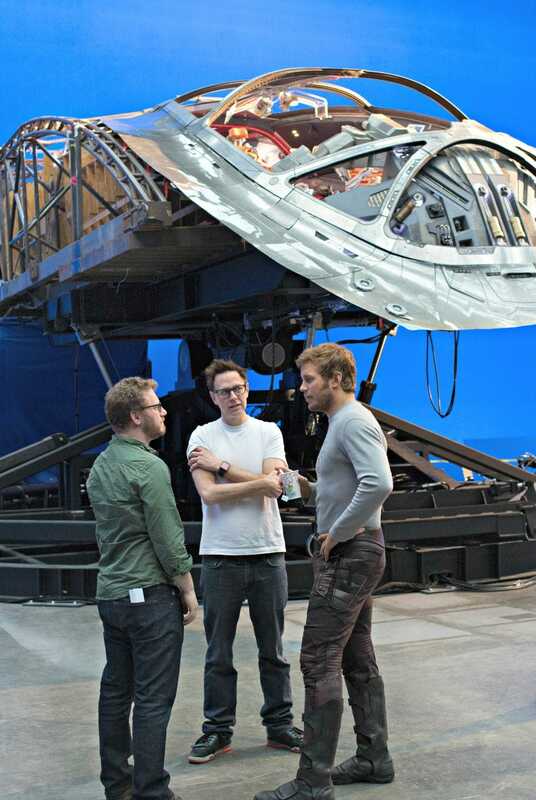 Watching James Gunn direct a scene for Guardians of the Galaxy Vol. 2 was awe-inspiring. He pours creative energy out of his entire being and it’s no surprise that everyone around him flows so perfectly. 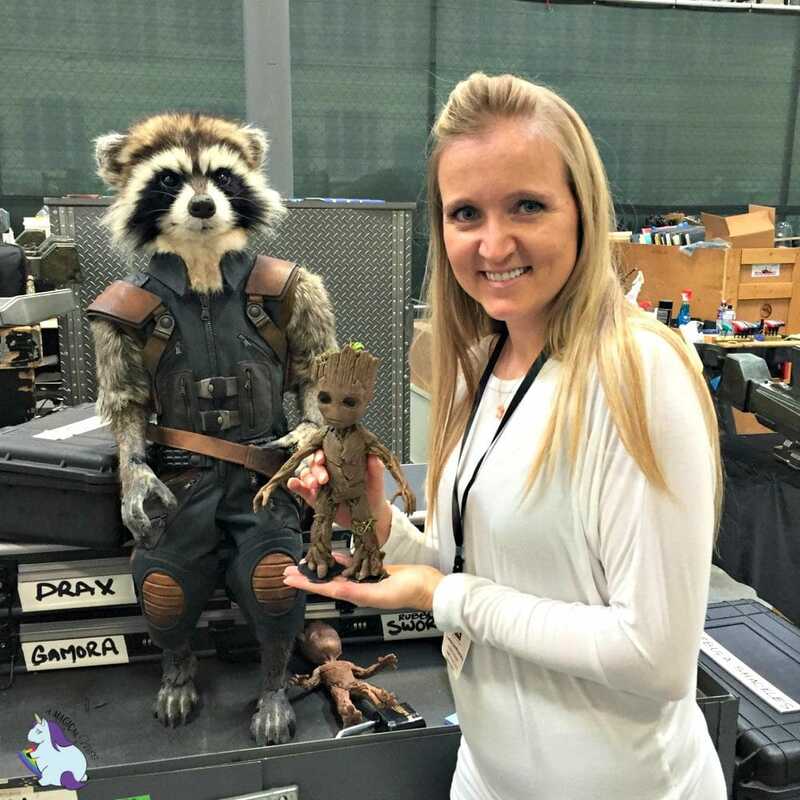 We had just done a few interviews and were invited to go on set while the Guardians filmed a scene for the movie. They were doing some wire work in an enormous blue room with a platform made to look like a space planet. When we first went in, the stand-ins were getting situated. I never really knew what a ‘stand-in’ was. Well, it’s literally a person that stands in the place where their actor look-alike should be. This helps get the frame right and then the talent can jump in, do their thing, and it makes the whole process a little faster. We stood there watching for easily 45 minutes. In that time, I think they shot maybe 3-4 seconds of actual film that will be used. I never put much thought into the tedium involved. The final product looks so action packed, it’s hard to believe it’s shot in teeny tiny clips–that take forever to get just right. Being on set made me realize, that these actors actually have a fairly boring job. It’s a lot of waiting around. However, that’s where they have most of their fun. They get to know each other and they’re always laughing. They were all so nice to us too. We were all sort of huddled off to the side hoping to be as non-invasive as possible. We didn’t want to mess up anyone’s creative process! Expecting to be totally ignored, we were shocked when all the stars were waving at us! Michael Rooker, Yondu, even shouted, “Hey! There’s all the mommy bloggers! There they are!” I don’t think we’ve ever felt so welcome and appreciated. They were genuinely excited to have us there. Seriously. Best. Day. Ever. How are you? Is it always this crazy for you on set? 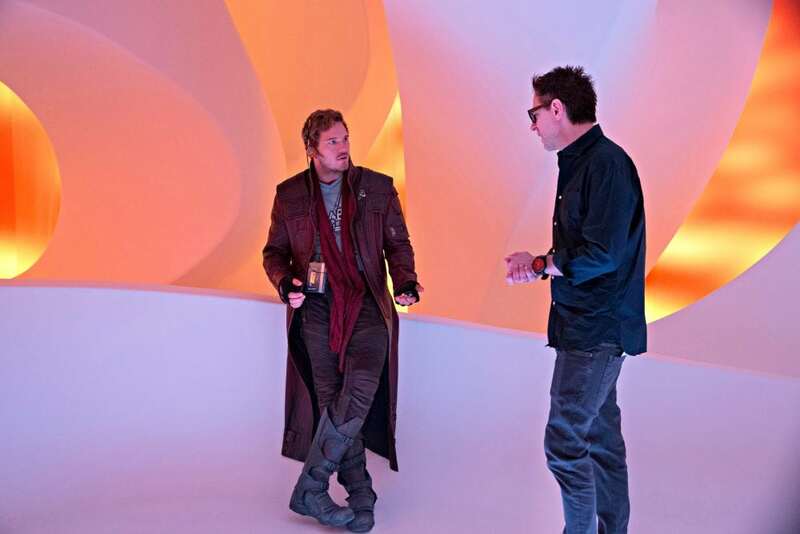 JG: “A lot of the sequel ideas about Quill’s relationship to his two fathers, basically Yondu and Kurt–the character Kurt Russell plays… And so that–the mythology of all of that was something that was written before the first movie was written. I knew basically where he was going. Basically who his father was. Basically what Yondu’s relationship was to his father. So a lot of mythology came then. The story started to ferment during the first movie. I was always taking notes and thinking about it. And I knew this was a story. I wasn’t sure if it should be the sequel. I wasn’t sure if it should be like a third movie in a trilogy. And then when it came time to actually write the screenplay, I’m like, let’s just go for broke and do that story that I had in my head, which was this one. Which I really started actually physically writing the treatment on the first day, on the day the first movie came out. Having Kurt [Russell] is a gift. Did you already have that planned? What messages are you hoping families walk away with after watching the film? 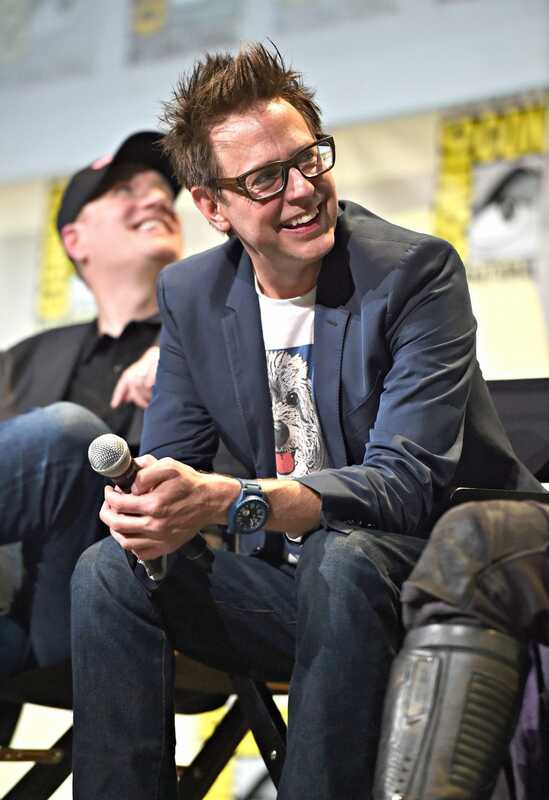 JG: “I don’t think so much about what’s the message of the movie, so much as what’s the affect it has on people… And for me, the thing and the reason I make movies is that when I was a kid and I saw a great movie with my family and it made me love people more when I walked out of the theater than when I walked in. So if there’s anything that this movie can do it’s that. I think it’s a really, truly emotional film. I think the first one was emotional, and I think we take this one to a much deeper level of the emotion. So I think that’s a big part of it. But I also think it’s a lot about The Guardians are a group of outcasts. They’re all creatures or people who don’t belong in society anywhere but with each other. And one of the very moving things to me from the first movie is just getting messages from all the people who feel like they’re outsiders, who relate to the Guardians, you know. 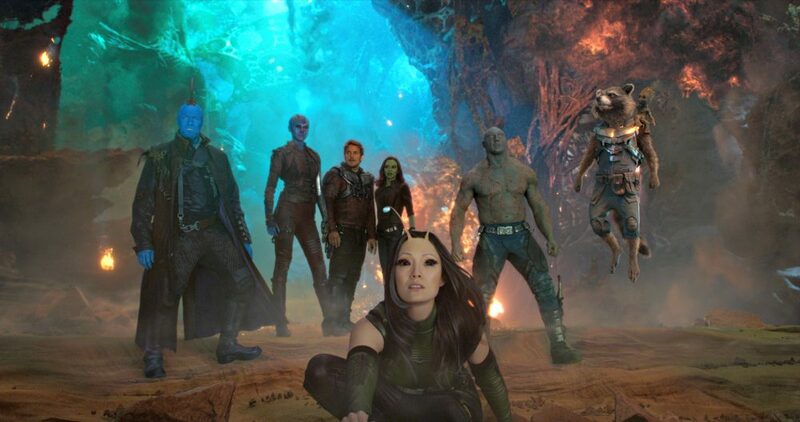 Whether it’s Gamora or it’s–a lot of people relate to Drax and to Groot. When we last talked to you, Rocket was your favorite character. JG: “Yeah. He still is. He’s still. I mean I’ve got a big… Baby Groot [AWWWW]… He’s pretty awesome. There’s times when we’re shooting and it’s nothing. It’s like either a little stick, or I’m like describing it and then afterwards the guys are like, ‘Oh, dang. You know, the stick guy–Baby Groot’s gonna steal the whole movie.’ And he’s not even there. And I can tell you on the first movie, we were barely aware of Groot. He wasn’t that present on set. I mean my brother, Sean, played Rocket. 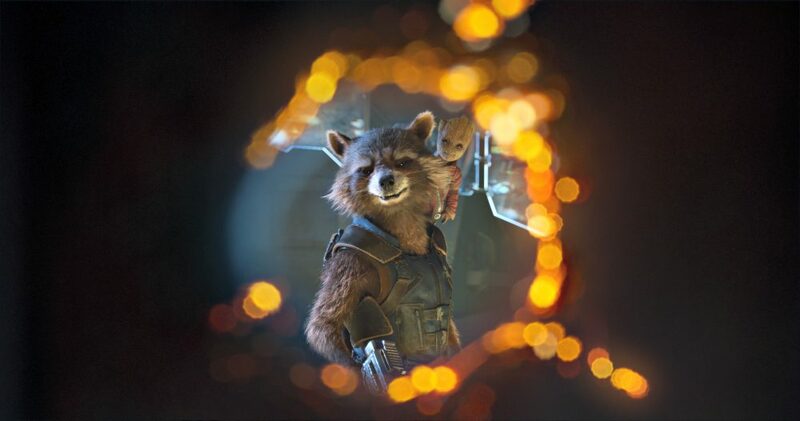 So he was always there and everybody knew Rocket as a real character. 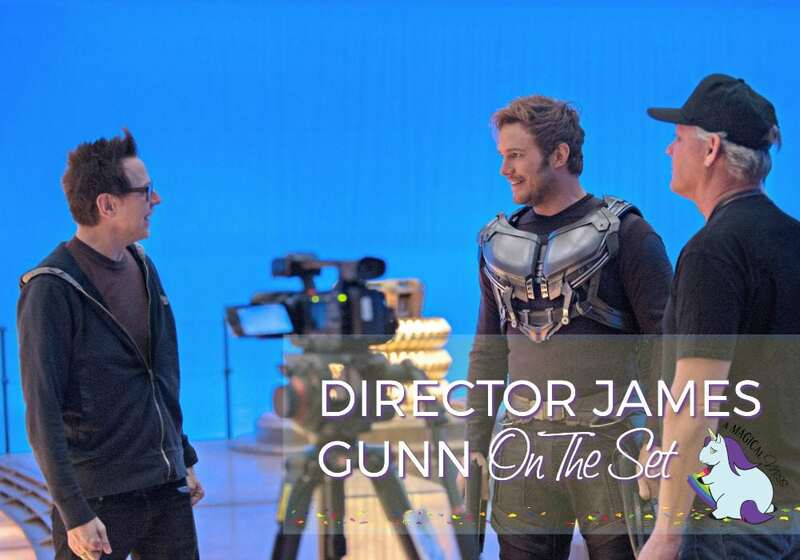 But Groot wasn’t there, and then we kind of start putting the movie together and creating Groot in post, and it was like, ‘oh wow,’ the character really fills out once we started to create him. But they would just forget about him, which, it happens in the first movie ‘cause a couple times Groot’s like, ‘what- what about me? I’m over here. I want my share of things.’ And that’s really what we were treating him like. So I love Baby Groot. But Rocket’s the one. I just relate so deeply to Rocket and I really feel as if he’s in this movie. I think something that we succeeded a lot at in this film is each character has their own story. I think that’s been more true for the other non-Star-Lord characters in this movie than in the first movie. And I would say especially for Gamora and Rocket. They have their very specific stories that are about them. The first story was about becoming a family, and this one’s about being a family. It makes a big difference… I think that in this one it’s really about Rocket. You get that first flush of accepting friendship and love which he had in the first movie. And this movie is about being able to continue some form of intimacy, which is much, much harder for him to accept that because of where he came from. And through that I think he forms a pretty tight bond with Yondu, who has a similar background, because they’re–Yondu’s an older guy who never love… Never accepted people that loved him. Never accepted any of that. And to be able to have Rocket. It’s not so much about him learning to love other people, it’s about him learning to accept the love and affection of other creatures. And, so it’s–it’s really, uh, you know, I- I love him as much as ever, yeah. This would have been so cool to go to. Looks like a lot of fun!